Today, we kick off a three-part series profiling Turner Construction Company, one of the largest construction management companies in the world. 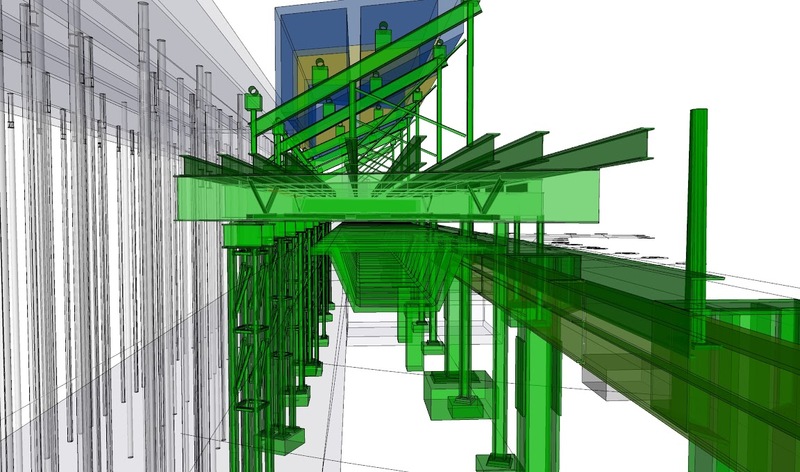 Turner uses SketchUp Pro at several points in its workflow: planning and coordinating of demolition and construction, creating presentations and providing safety training. They’ve even developed SketchUp plugins to accelerate certain internal processes. We sat down with Jim Barrett, Director of Integrated Building Solutions, to discuss how Turner is using new technologies and processes to solve everyday problems. In this first installment, Jim tells us about SketchUp Pro’s role in Turner’s World Trade Center Transportation Hub Project. 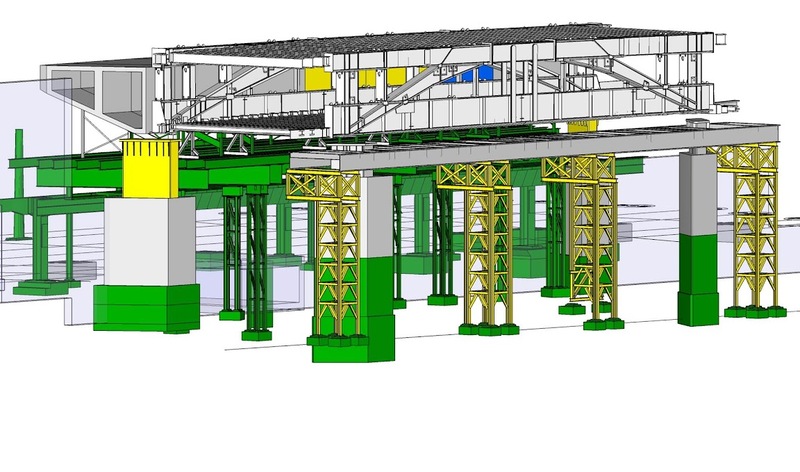 To meet the accelerated schedule and high number of deliverables for the World Trade Center Transportation Hub Project, Turner turned to SketchUp Pro. This project is not only a complex matrix of building system and structural elements; it also requires detailed phasing of demolition and construction to avoid disturbance to the six major subway lines that run within the project extents. Coordination models are essential for planning phasing and coordinating the location of not only the permanent structures, but also the temporary construction items such as formwork, shoring, and bracing. 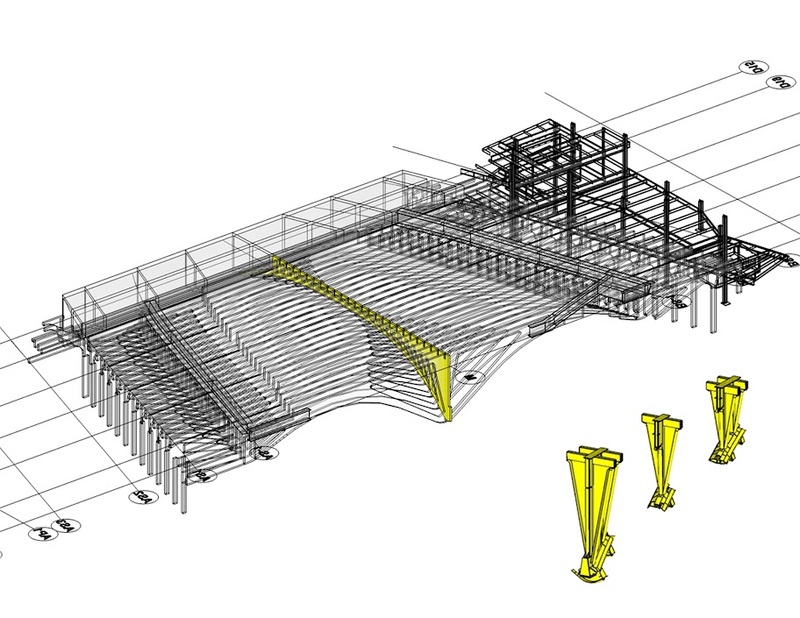 Detailed model of East Box Girder steel, precast smoke purge ducts, and temporary shoring. Weekly work-in-place presentation updates are automated through a custom Turner plugin (which we’ll discuss in Part 2 of this post) for exporting images to slide presentation software. The ability to customize workflows provides Turner with the opportunity to combine constructibility studies with graphic information about the schedule and clearly represent this information to the project team. Work in place tracking of 1-train subway structure and temporary shoring towers. Both subway and PATH train service are maintained while construction is taking place. Interoperability is key for Engineers at Turner. SketchUp Pro’s ability to import and save to exchange file formats allows the team to compile models from multiple disciplines, regardless of the model’s software origin. In this way, the team can quickly study complex details and integrate additional information to an existing model. PATH Hall roof steel ribs, vierendeel truss, and adjacent to Memorial Pavilion structure. We’d like to thank Jim and Turner Construction for chatting with us. In part 2, we’ll explore a couple of Turner’s custom plugins used to bring existing processes into the simple, efficient and visual environment of SketchUp Pro. This is a great post ! It was very informative. I look forward to reading more of your work. Also, I made sure to bookmark your website so I can come back later. I enjoyed every moment of reading it.